To monitor and defend the complexity of software applications continuously at scale is a challenging task for humans. We leverage artificial intelligence to analyze data and build up a scalable defense. Powering things behind the scenes are a combination of our proprietary data and machine learning models. This for example allows Templarbit to automatically make a decision on policy changes without relying on human input. Once added to the stack, Templarbit will equip your system with defense capabilities that protect you from a breach. 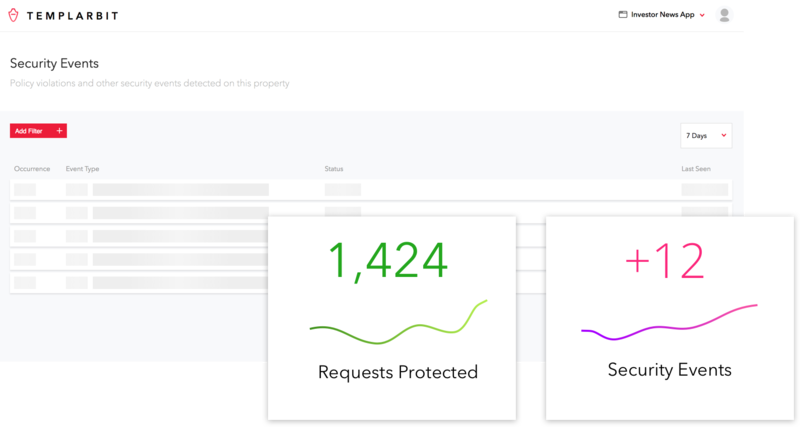 The data passed through your Application Layer will be analyzed on-premise and all signals of malicious behavior will be reported back to you in real-time via the Templarbit Dashboard. 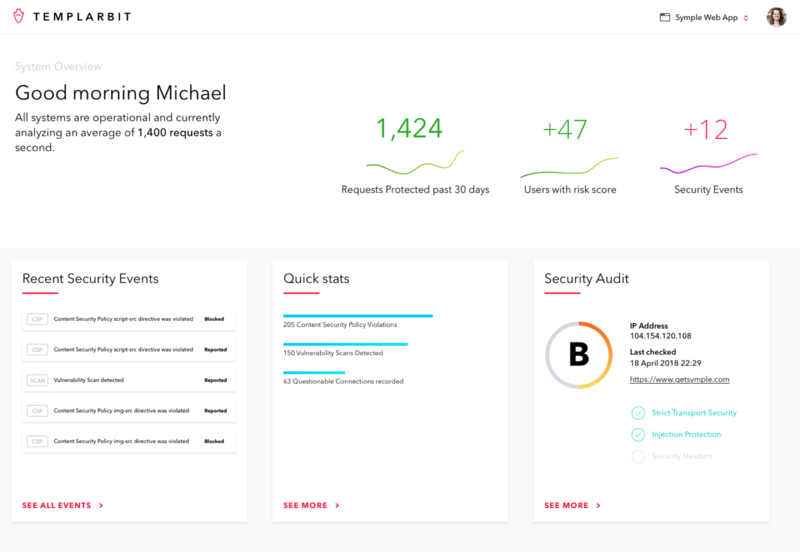 Templarbit is the most direct way to improve your company's security posture and will help ensure that your team can stay on top of things by surfacing security threats in a format everyone can understand. Harness the power of robust AppSec intelligence and prevent attacks before they affect your business.